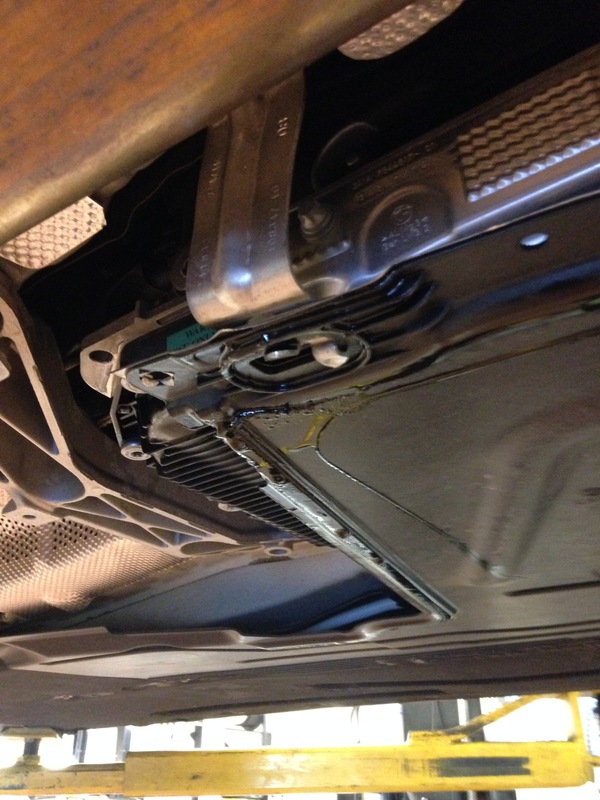 F30 with a little road hazard damage,,,customer ran over something,,,which hit the lower trans cover and trans pan,,,,causing a small crack in the trans pan. 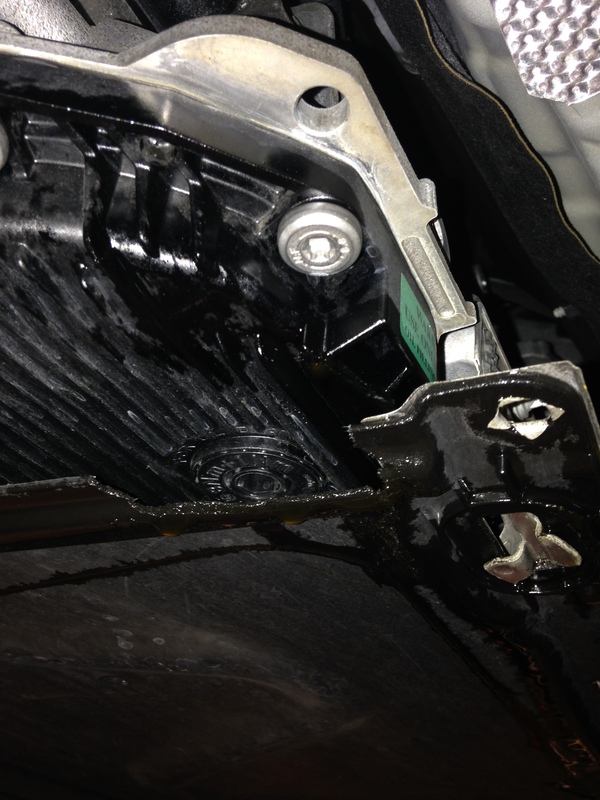 Heres a better picture of the trans fluid leaking out of the transmission ,,,,I guess my main concern is that the lower engine and transmission cover have a purpose ,,,,people don’t understand those cover have a purpose,,,they are there to protect the bottom of your car of any road damage ,,,,they are also there to improve gas mileage,,,,I know the covers didn’t help this guy,,,,but in a way they did,,,because the damage could have been a lot worse,,,and it would have left him stranded,,,,but in this case he was able to drive off the road and to safety and be towed to the dealer,,,,,if the cover wasn’t there,,,,it could have done more damage to the transmission and drive with no trans fluid and damage the trans. This entry was posted in Uncategorized and tagged f30, road damage, tran pan crack. Bookmark the permalink.